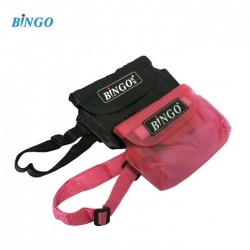 Bingo wp034 is waterproof (up to 20 meters) a bag that could be helpful to protect the camera, smartphone or your valuables. you can quite easily put the camera and smartphone simultaneously. This waist bag can be used for different types of devices and valuable items such as cameras, cameras, smart phones, MP3-player or other portable electronic devices. PVC (polyvinyl chloride) material can protect your phone from water, dust, wind, sand, rain, snow and sea water. You do not need to be afraid of the risks that may occur with your device. Triple protection: two sealed bag clip and Velcro fully protect your device.